Clarence Joseph McLin Jr. (known as C.J. 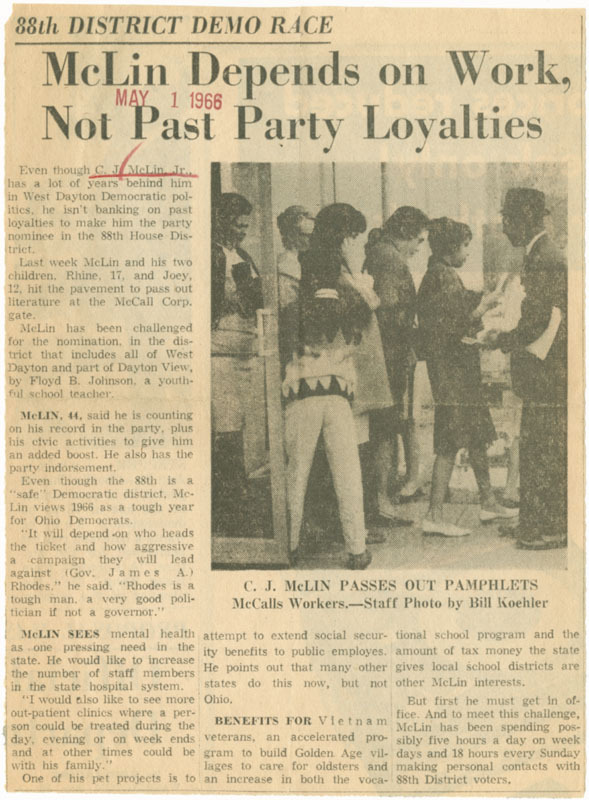 McLin), was an American politician of the Ohio Democratic Party. 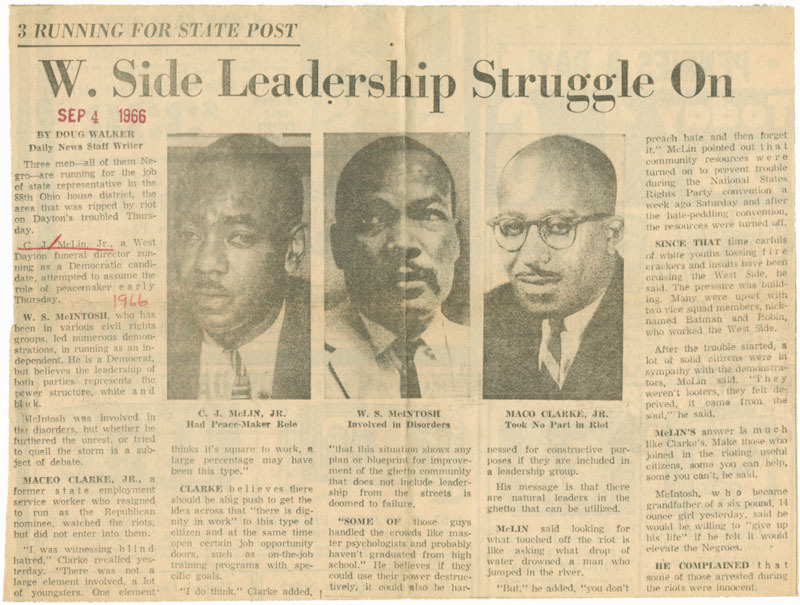 He ran for state representative in 1966 following the race riots in Dayton and the Voting Rights Act of 1965. He won the election and served eleven consecutive terms. In 1988 he won a twelfth term but passed away. His daughter, Rhine McLin was appointed to fill his seat. He was the longest serving black legislator in Ohio history. McLin was known for hitting the pavement and passing out pamphlets during re- elections by being approachable with the 88th District voters. McLin was a Dunbar High School graduate who attended Virginia Union University and graduated from the Cincinnati College of Embalming. He worked at the family business, the McLin Funeral Home, founded by his father until his political career began. He was drafted by the U.S. Army and served for three years unit 1949. He was an advocate for the equal treatment of African-American service members. McLin also helped fund the Dunbar House and the National Afro-American Museum. This entry was posted in DDN and Dayton and tagged Black History Month, C.J. McLin, Rhine McLin. Bookmark the permalink. The book “History of the Dayton westside baptist preachers” by leonard dean hasn’t been mention during this black history week. The book give a history of the churches, pastors from the south ,east and west. Its on the web. Goggle by title or author.